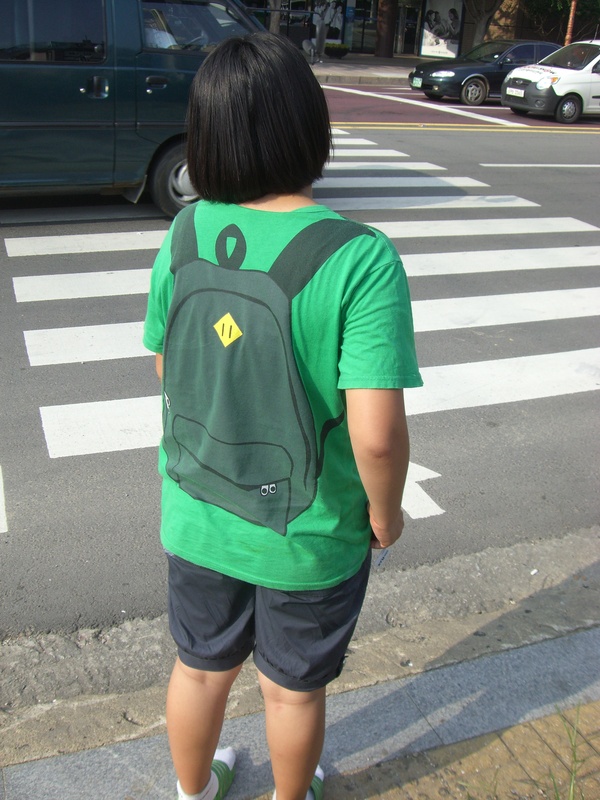 Koreans are very passionate about having the proper image or uniform for whatever activity they are engaging in. This means that for students (be they any level of school, including college) they HAVE to have a “ga-bang”. It is required. This is why the following site didn’t phase me at first. I really didn’t even notice until Anna pointed out to me that it was fake! Even after I knew it was fake, my brain was confused as we stood waiting for the light to change. I had to document this…so thankful she didn’t even look back to see that I was her paparazzi! What crazy sights have you seen recently?